While science has made great strides in treating pathologies of the human mind, far less research exists to date on positive qualities of the human mind including compassion, altruism and empathy. Yet these prosocial traits are innate to us and lie at the very centerpiece of our common humanity. Our capacity to feel compassion has ensured the survival and thriving of our species over millennia. 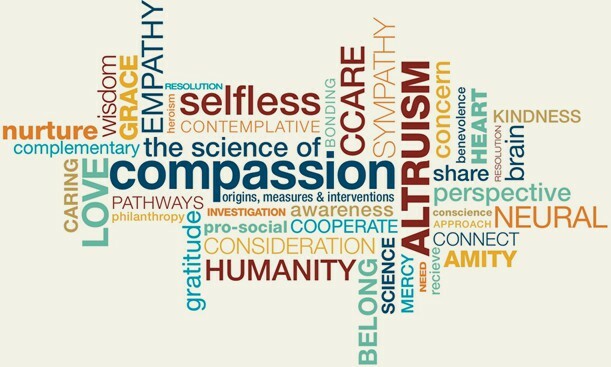 For this reason, the Center for Compassion and Altruism Research and Education (CCARE) at Stanford University School of Medicine was founded in 2008 with the explicit goal of promoting, supporting, and conducting rigorous scientific studies of compassion and altruistic behavior. Founded and directed by Dr. James Doty, Clinical Professor of Neurosurgery, CCARE is established within the Department of Neurosurgery. To date, CCARE has collaborated with a number of prominent neuroscientists, behavioral scientists, geneticists and biomedical researchers to closely examine the physiological and psychological correlates of compassion and altruism. CCARE investigates methods for cultivating compassion and promoting altruism within individuals and society through rigorous research, scientific collaborations, and academic conferences. In addition, CCARE provides a compassion cultivation program and teacher training as well as educational public events and programs. the practice of compassion is taught and applied in schools, hospitals, prisons, the military and other community settings. Learn more about CCARE here!